With the number of smartphones increase by an exponential rate, the mobile application market is booming at an unprecedented rate. But that means that there is more competition and to win that competition you need you app to be more efficient, effective, and attractive. Mobile analytic tools are the essential applications that will help you keep track user engagement in your mobile application and help you perfect your mobile applications. Currently there are a number of such analytic applications available on the internet but out of them the two most used ones are MobileAppTrack and MIxpanel. 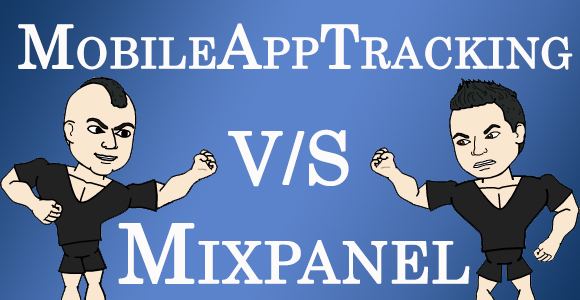 MobileAppTrack and Mixpanel both have nearly same features. Such as both tools can be used to analyze user interaction, track advertising campaigns and to track your customer retention. But there are subtle differences between the two. While Mixpanel is more focused on customer interactions and feedbacks, MobileAppTrack specializes in tracking marketing and promotional campaigns. However both these applications are aggressively expanding their features. They are engaged in an allout rivalry and that is visible in the twitter profile of both the platforms. Checkout the infographic below to find out which mobile analytics tool, MobileAppTracking or Mixpanel, is popular on twitter and which requires some catching up to do if needs to stay in the race..